a Happy Birthday peel off & gems to embellish. 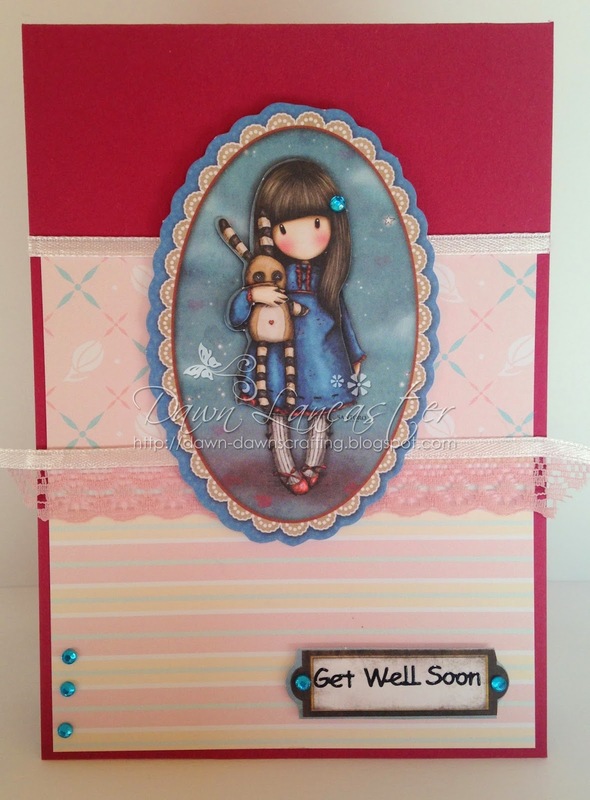 A get well card, again using items from my stash. 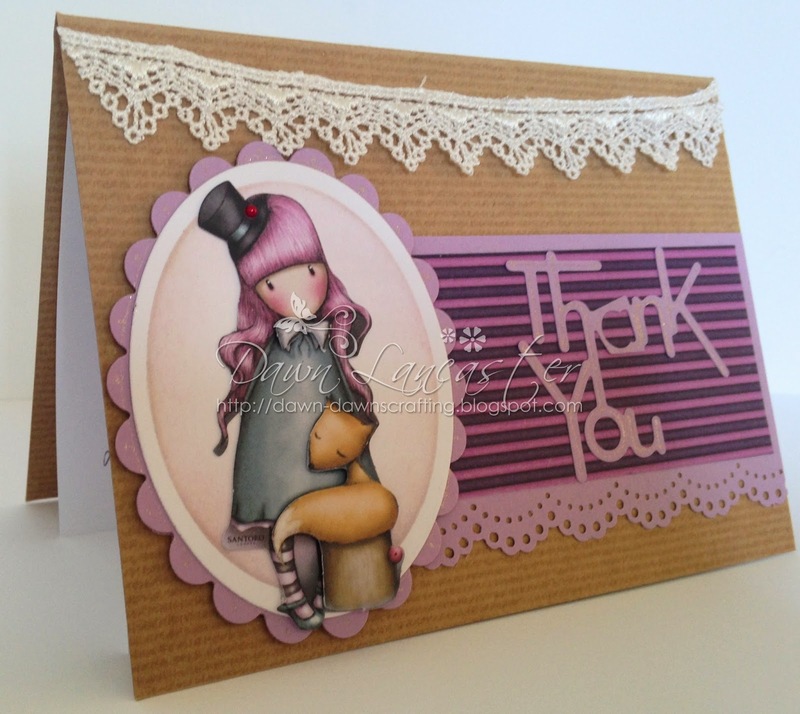 Finally a little Thank You card. die cut oval which I had inked with Spun Sugar & Milled Lavender Distress inks. Sakura Clear Star gel pen. 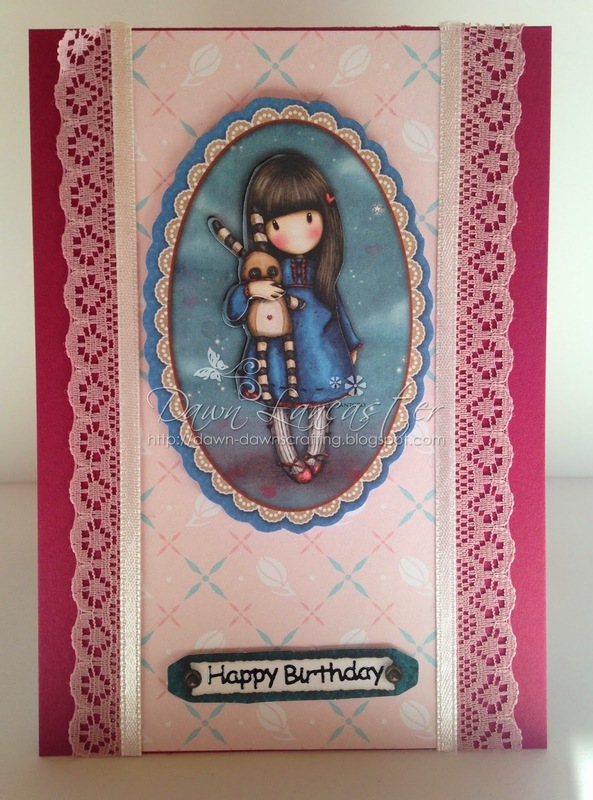 little cover gift & managed to make a total of 8 cards with it! 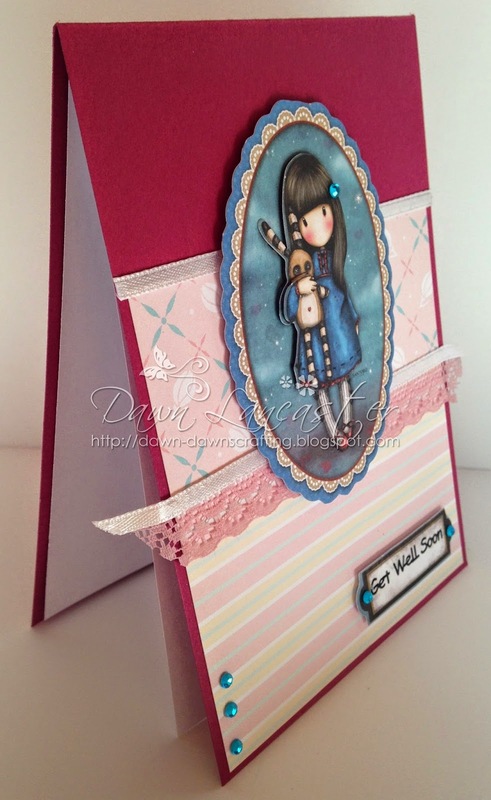 These are gorgeous Dawn, love the images they are so cute. 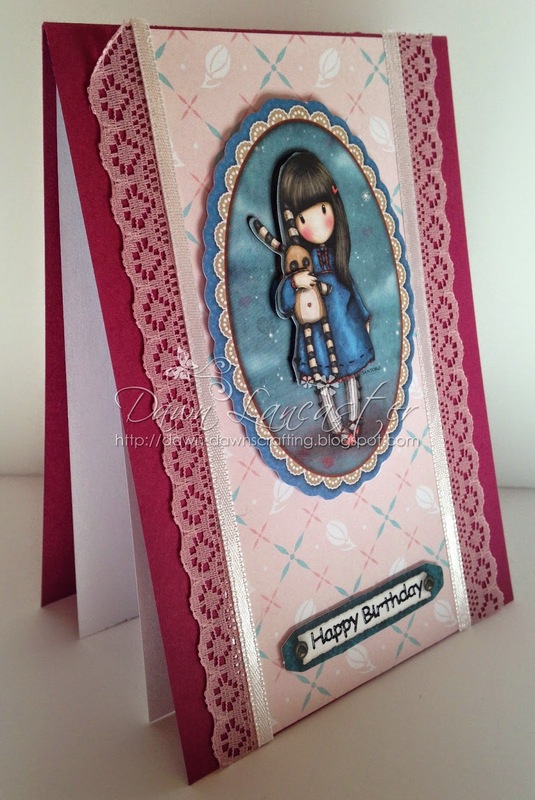 These are so pretty Dawn, you've certainly made good use of this kit. Very pretty cards, love the image!